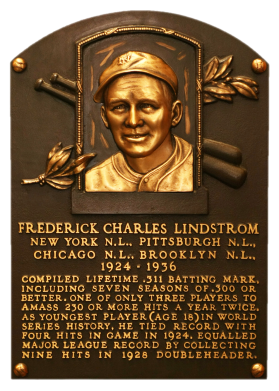 Playing in the World Series for the Giants as an 18-year old rookie in 1924, Lindstrom survived two bad hop ground balls that helped beat New York to become one of the NL's best third basemen. 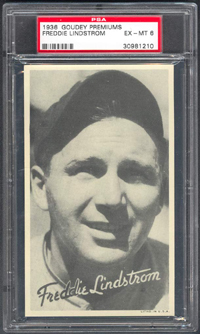 He topped the .300 mark seven times, including a .379 average in 1930. A year later an injury led to a switch to the outfield. He retired in 1936, at age 31, with a .311 career batting average, 301 doubles, and 895 runs scored. 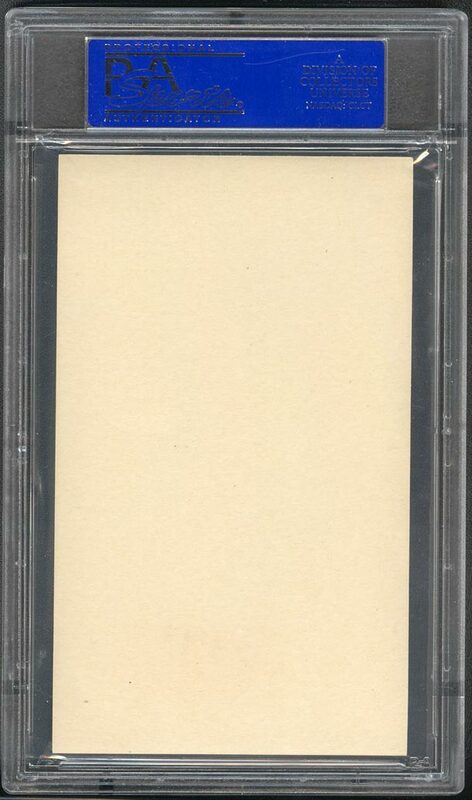 Comments: In July, 2000, I filled this slot in the collection with a raw 1976 Shakey's tribute card. Between April, 2003 and September, 2004 I ended up purchasing three different raw examples of the Goudey Wide Pens card. They graded 4, 5, and 6. 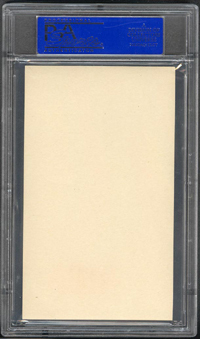 I kept the PSA 6 example for myself and sold off the others. Since, I have not been able to find an upgrade.